Puerto Rico Suspends $133M Post-Hurricane Housing Contract - Integration Through Media ....! 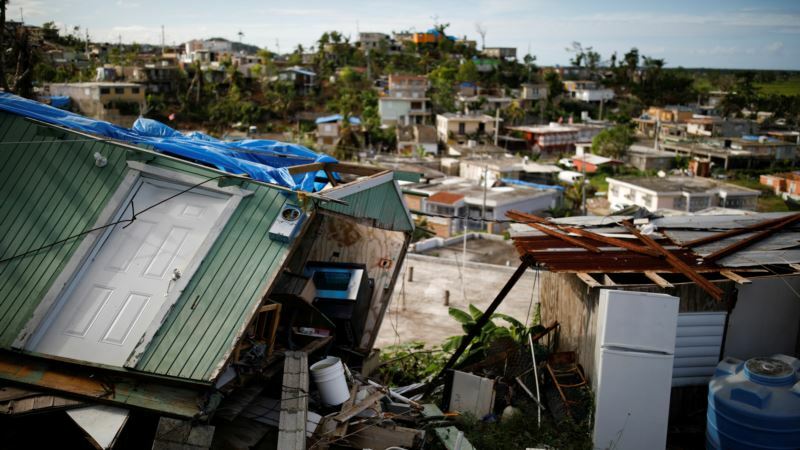 (VOA): Puerto Rico's Housing Department said Wednesday that it would suspend a $133 million deal with a U.S. company hired to repair homes damaged by Hurricane Maria because a review board found the contract had been improperly awarded. The department's contractor review board published a ruling Tuesday saying New York-based Adjusters International had received the contract, which was subsidized by the Federal Emergency Management Agency, though it did not meet several requirements. Eric Perez-Ochoa, an attorney for Adjusters International, said in a statement that the company had complied with all requirements and was studying the board's decision, adding that it was "deeply disappointed.'' He said thousands of Puerto Ricans were enrolled in the home repairs program and that crews were conducting nearly 1,500 home inspections a day, with 700 Puerto Ricans helping out. He said the company offered a savings of more than $20 million compared with another proposal. "This decision puts that progress at risk and may cost Puerto Rico more money,'' he said. Company officer was Trump pick A company vice president, Daniel Craig, had been nominated by U.S. President Donald Trump to the No. 2 position at FEMA but later withdrew from consideration. Craig, an ex-FEMA official under former President George W. Bush, had faced a 2011 federal investigation that concluded he falsified government travel and timekeeping records — findings he has rejected as being the result of a poor investigation. The 2011 report has not been publicly disclosed. FEMA spokesman Daniel Llargues said the agency was not involved in any process tied to the contract, and he referred all questions to Puerto Rico's Housing Department. Meanwhile, Puerto Rico Housing Secretary Fernando Gil said in a statement that his agency was evaluating other options to avoid interrupting home repairs. He noted his agency had requested that Puerto Rico justice officials submit the contract to the review board even though they are not legally required to do so. "Ensuring transparency in contract awards is of paramount importance,'' Gil said. "Our focus continues to be to help all families that require our assistance and ensure the reconstruction of Puerto Rico.'' Officials have said that Hurricane Maria, a Category 4 storm that struck more than five months ago, destroyed between 70,000 to 75,000 homes and damaged another 300,000 homes across the island of 3.3 million people. Adjusters International was contracted to make minor repairs to homes, such as fixing roofs, walls, windows and water heaters. It was unclear how many homes the company had repaired or how much, if any, it had been paid for its work. Housing Department spokeswoman Leticia Jover did not return messages seeking comment. A department report stated in part that the company had approved nearly 10,000 applications and that nearly 36,500 applications had been completed. The contract had been challenged by one of the companies that lost the initial bid, Los Angeles-based AECOM. Awaiting court ruling Jover said the contract would remain suspended until a ruling from Puerto Rico's Court of Appeals. The review board said that Adjusters International should have been disqualified because it did not meet requirements, including having a $35 million line of credit and a certification authorizing it to do business in Puerto Rico. "The offer from Adjusters should have been disqualified and under no circumstance should it have proceeded to the second round of evaluations,'' the board said. Puerto Rico has come under increased federal scrutiny after the U.S. territory awarded a $300 million contract to tiny Whitefish Energy Holdings LLC after the storm. The contract's cancellation led later to the resignation of the power company director. Whitefish is based in Whitefish, Montana, hometown of U.S. Interior Secretary Ryan Zinke. Congress has set aside several billion dollars in disaster recovery funds for Puerto Rico, but concerns remain over potential mismanagement of money in a U.S. territory struggling to restructure a portion of its $73 billion public debt amid an 11-year recession. Officials with FEMA and the Treasury Department said in a recent letter that they were temporarily withholding a billion-dollar emergency loan because the island was not facing a cash shortage as it has repeatedly warned about in recent months.